All Saints have had an impeccable run of singles that haven’t translated into great albums. 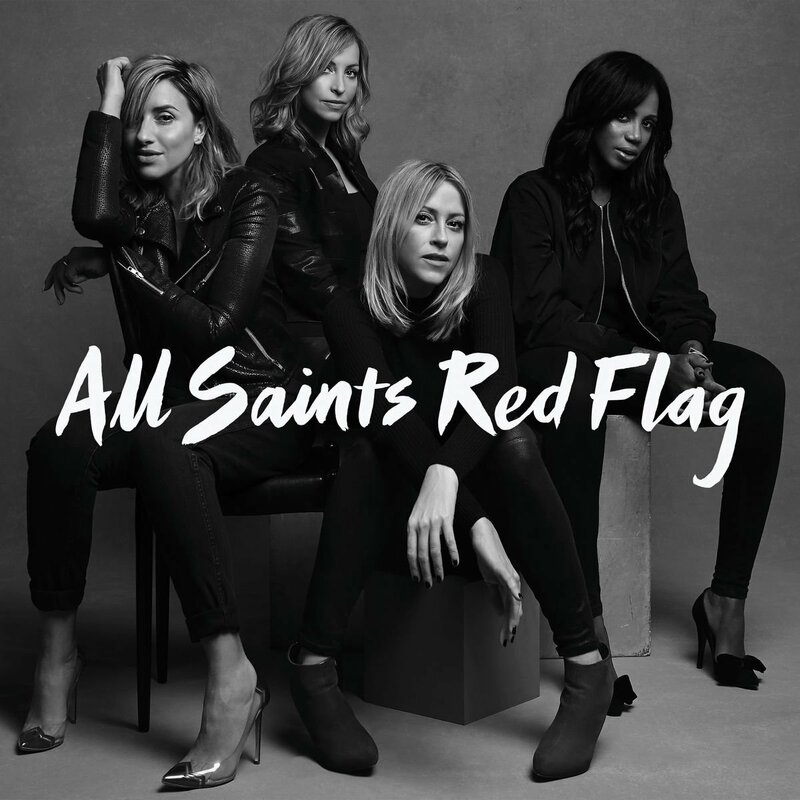 Ten years after the mixed results of Studio One, the new All Saints record, Red Flag, is aimed at a different market in a drastically altered music scene. In 2006, they attained Radio One airplay and found themselves with a top three single. Now they have support from Radio Two (known for creating album sellers as opposed to big hit singles). This is likely to work in their favour as this is the best and most cohesive All Saints record yet. The first single, ‘One Strike’ is a perfect reintroduction to a group responsible for some of the most lushly produced singles of the last 20 years (‘Pure Shores’, ‘Black Coffee’, ‘War of Nerves’). During understated synths and a clapping drum beat we hear of the moment Nicole Appleton found out that Liam Gallagher had been unfaithful to her – “shattered, pieces of your words take aim, your poisoned tongue, but I don’t want to believe you, torn up, stitches of my own heart ache”. Its hard hitting lyrics are a contrast to the comforting atmospherics of the music. ‘One Woman Man’ deals with a similar subject matter, the opening lines asking, “sometimes is it better to let go?”. It boasts one of the best choruses on Red Flag, complete with big drums and stabs of strings that increase the dramatic impact of the lyrics. It would make a great single to continue their perfect run. ‘Puppet On a String’ is also an obvious future single. Its breezy and addictive chorus shows the excellent songwriting of Shaznay Lewis. ‘Who Hurt Who’ is a beautiful stripped down ballad written by Melanie Blatt and led by Natalie Appleton. It brings one of many emotional highpoints on Red Flag. The harmonies when they sing “I still need your arms around me” are stunning. All four members of All Saints have strong vocals but ‘Who Hurt Who’ is where Appleton’s fragility is the main focus. ‘Ratchet Behaviour’ is Red Flag’s only weak moment. It has hints of 2006’s single ‘Rock Steady’, but sounds like an M.I.A. rip off. The transition of ‘Ratchet Behaviour’ into the incredible title track brings things back to order and shows the fighting spirit that runs through this record. The verses are made up of tribal rhythms (a common musical theme here), minimal instrumentation, and a beautifully uplifting chorus explodes into life. The keyboards and gorgeous harmonies recall their excellent William Orbit productions on Saints & Sinners. ‘Pieces’ is a triumphant closer with the defiant lyric “here’s to a blue sky and pastures new”. The cooing backing vocals and positive lyrics are a fitting finale for an album that, despite its tales of heartbreak, is about hope and rebirth. All the frustrations of All Saints’ stop-starting career has been put aside with Red Flag. It’s a perfect balance of self-assured songs that sounds fresh and unmistakably All Saints without chasing modern trends in music. Red Flag sounds effortlessly cool in the same way that has always made them appealing. I hope this is more than another brief stop for them and instead signals a new stage in their career.